Night sky over the Himalayas. 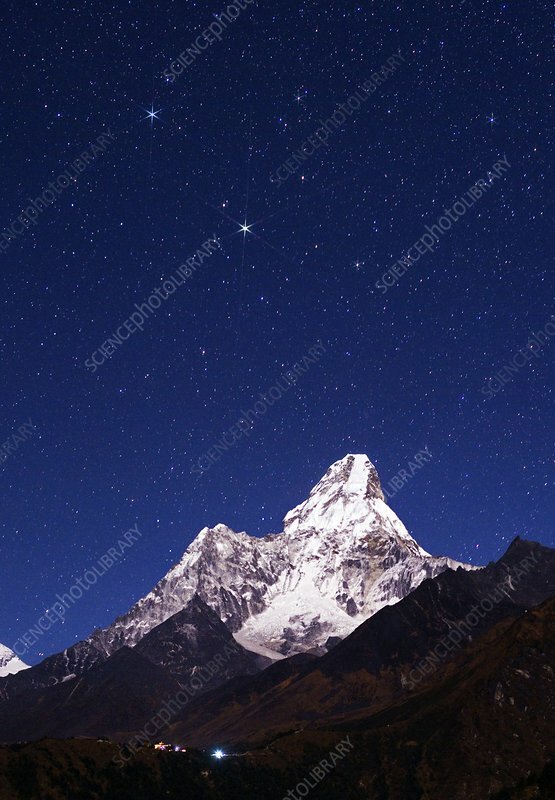 In the background is Mount Ama Dablam, which stands at 6,812 metres. In the sky above it are the twin bright stars Castor and Pollux that form the Gemini constellation. Photographed in Sagarmatha National Park, Nepal.